Scooters have quickly become the blessing and bane of today’s urban environs. It’s a hot-button topic and the scooter companies themselves share part of the blame. Their application of design seems to stop at serving their own marketing and guerilla strategies. But what if they deployed design differently? This question inspired us to collaborate on a provocative design vision that comes to life through a scooter company focused on the fusion of safety and citizenship, with a deliberate brand and identity to match. 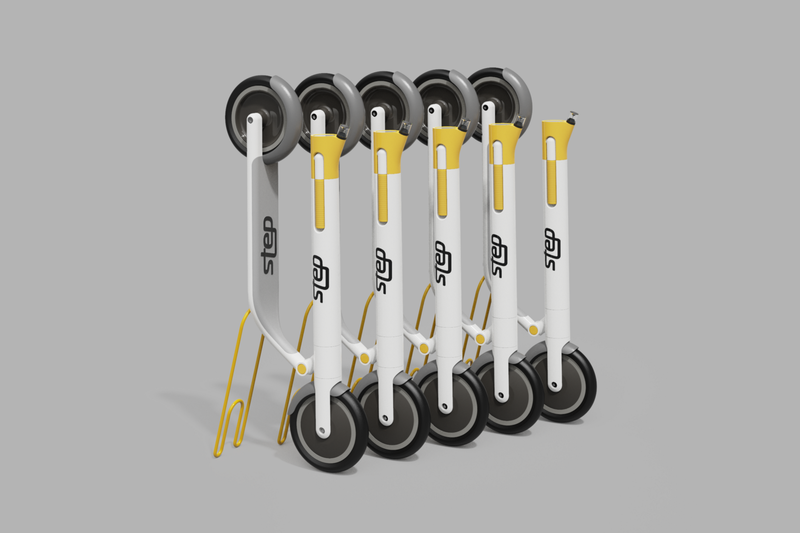 We turned to our brand team and new colleagues at the argo Amsterdam studio to create this new kind of scooter company. 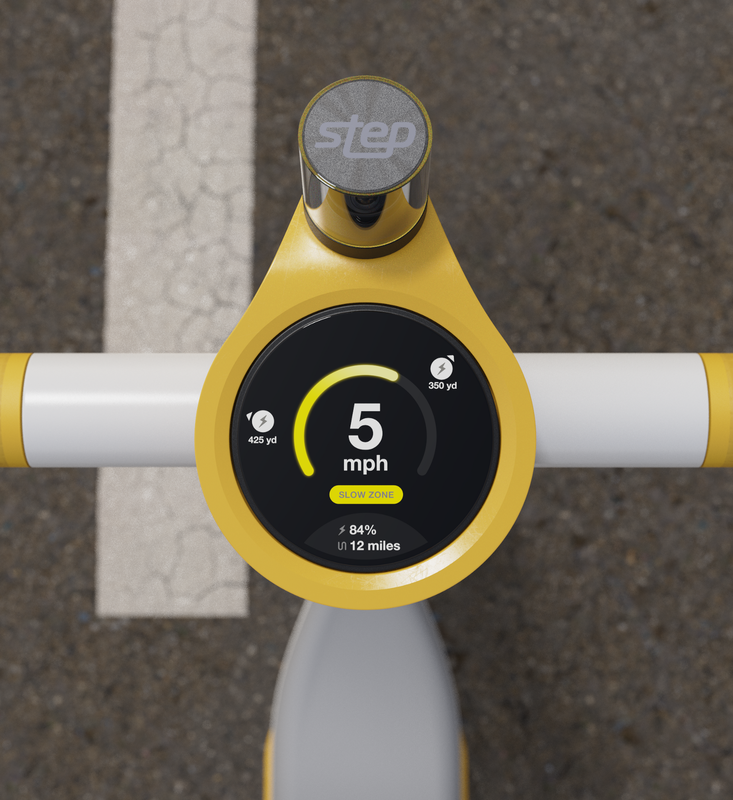 Introducing STEP, a brand built upon a respect for shared spaces, demonstrating a sensibility for how to use, store, and treat scooters. The name is a literal translation from Dutch for ‘scooter’. But it’s also a metaphor for small, controllable, and safe movement. It plays into the idea that small steps lead to big changes: changing micro-mobility step by step. When you step into a world or new place you’re more observant and respectful of it, enhancing the sense of citizenship. 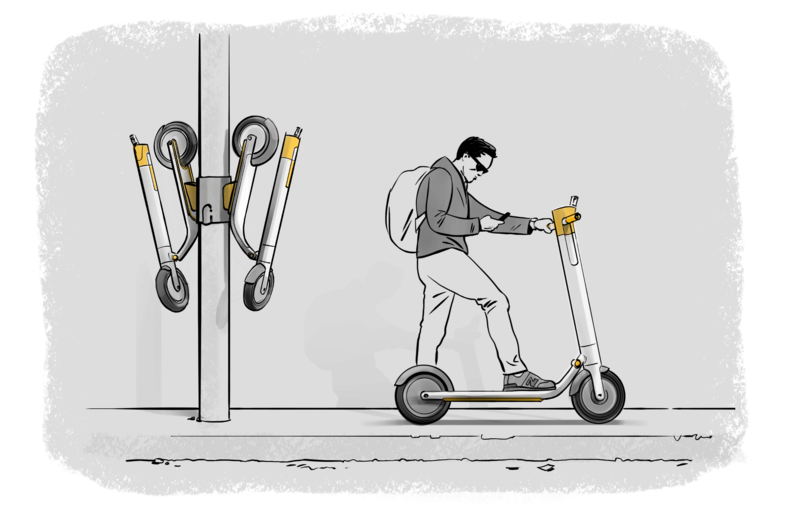 The scooters are designed to declutter sidewalks by storing cleverly on poles or folded into a smaller self-standing footprint — which also allows for a longer, more stable wheel base. A camera allows computer vision intelligence, requiring the use of helmets and enforcing safe speeds amongst pedestrians. 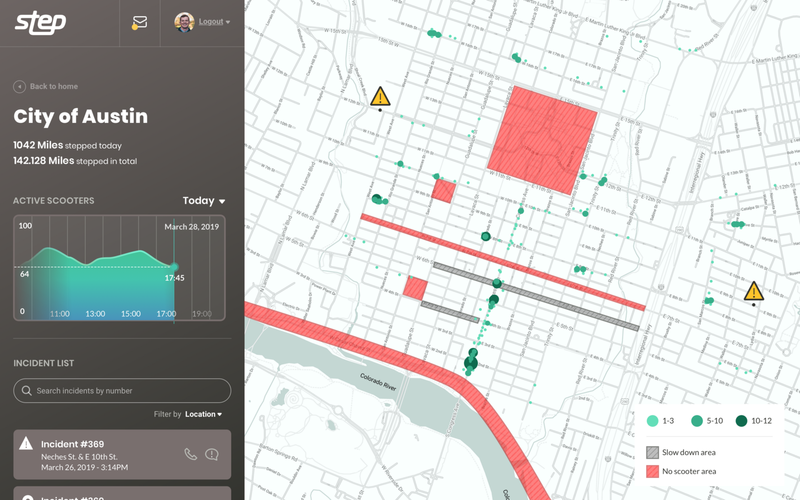 A public API allows for easy pull of data on accidents and unsafe riders for individuals and city governments. 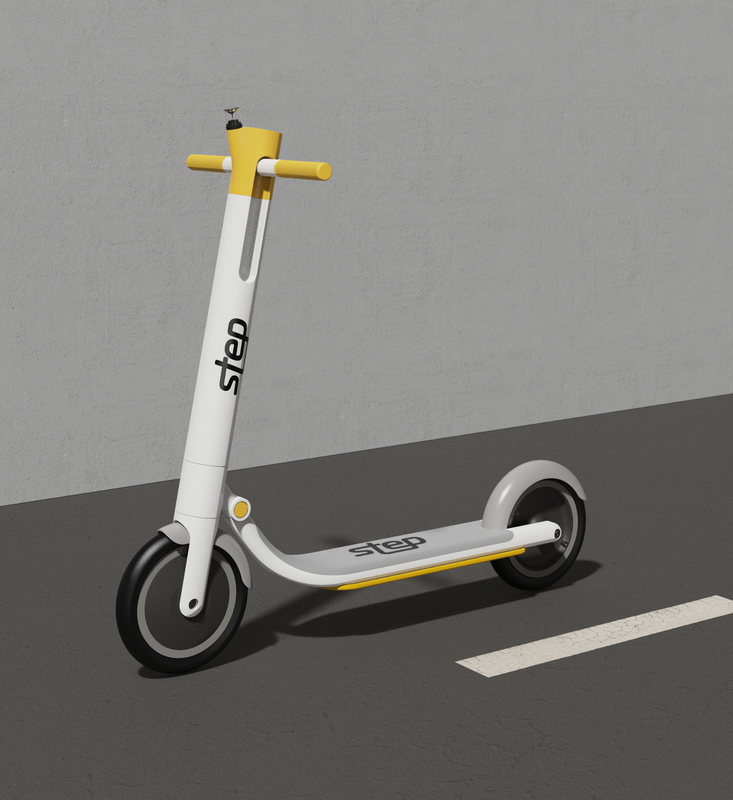 We wanted the scooter to become mostly invisible in the city streets when it’s not in use and were inspired by a grayscale color spectrum driven directly from the hues of concrete and asphalt. The toasted mustard color pops are a derivative of the safety colors found on roads, enriched to have a gemstone-like luster. The application of the toasted mustard is used sparingly, focusing on interaction moments with the scooter, helping the user see the functionality without having to think too hard. Design often gets washed out in service of marketing rather than in service of the company’s mission. It’s easy to focus on these short-term energies — but if companies apply design in a meaningful way, it contributes to a more substantial bottom line and impact. We are a product design firm. We love design – for the technology, for the simple joy of craft, and ultimately for the experiences we create.